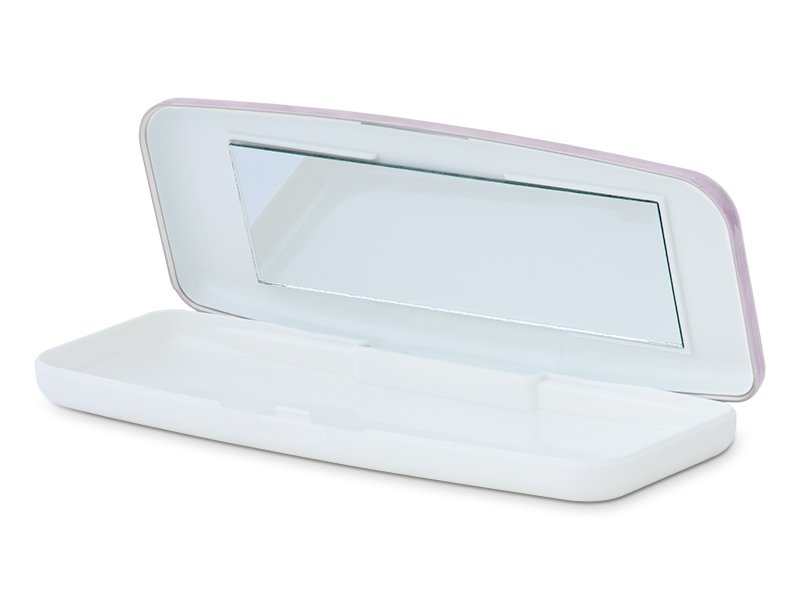 This stylish and practical case comfortable accommodates up to 10 individual blisters of your favourite daily disposable contact lenses, and is ideal for your on-the-go lifestyle, whether you’re headed to the gym or on holiday. 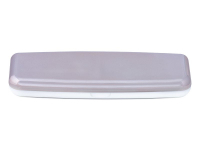 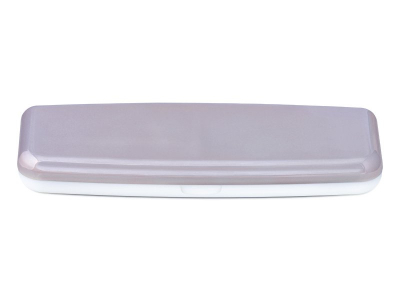 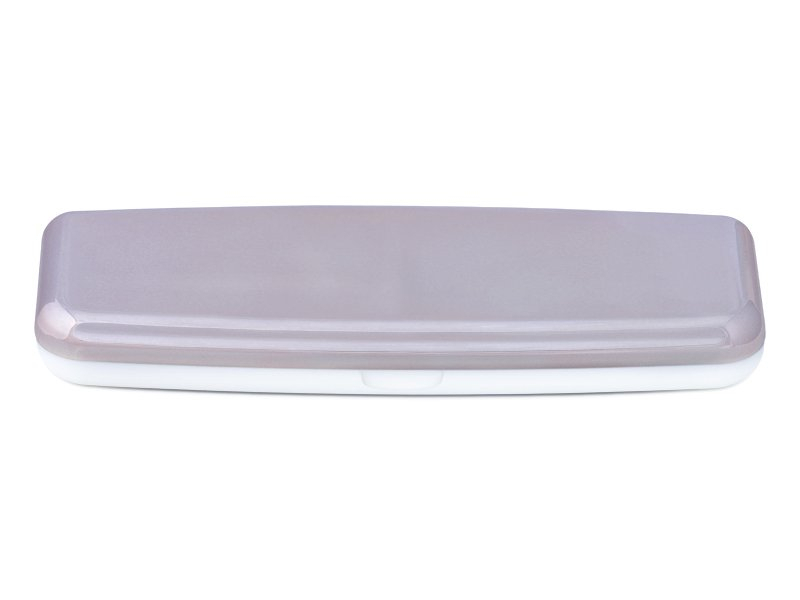 The case is made of durable plastic and features a metallic pink lid with a white base. The inside of the case contains a mirror, which makes on-the-go application easy. 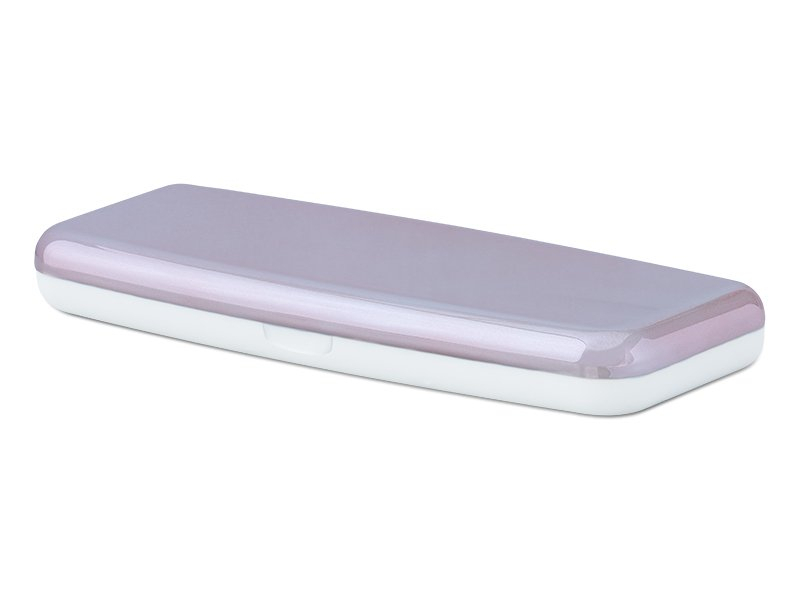 The case measures 165×62 mm. This sleek case is also available in blue colour.